تشخیص بیماری از روی زبان، روشی رایج در طب سنتی چینی است. در این مقاله، روش غیر‌تهاجمی تصویر برداری از زبان، که پاپیلاهای سطح آن در اثر ابتلا به بیماری دیابت تغییر شکل می‌دهند، برای شناسایی بیماری دیابت استفاده می‌شود. تصاویر استفاده‌شده، از کلینیک تخصصی پارسیان شهر مشهد تهیه شد. در این نمونه‌برداری، افراد مبتلا به دیابت، سالم و مشکوک به دیابت با هر دو جنسیت در گروه‌های سنی مختلف آزمایش شدند. بعد از تصویر برداری، ناحیة زبان با استفاده از دو مدل مبتنی بر کانتور فعال، بخش‌بندی شد؛ سپس، ویژگی‌های محلی توسعه یافته، ویژگی آماری بافت و گشتاورهای رنگ در فضاهای رنگی مختلف از ناحیة بخش‌بندی شده استخراج می‌شود. پس از استخراج ویژگی با استفاده از دسته‌بندی ماشین یادگیر بیشینه، افراد دیابتی، سالم و مشکوک شناسایی می‌شوند. در روش پینشهادی، دقت 7/97 درصد برای پایگاه دادة تهیه‌شده به‌دست آمد. نتایج آزمایش­ها، کارآمدی روش ارائه‌شده را در دقت تشخیص و سرعت پاسخ‌دهی مناسب نسبت به سایر روش‌های غیر‌تهاجمی نشان می­دهد. It is a common approach to diagnose a disease based on the tongue in Traditional Chinese Medicine. In this paper, a noninvasive imaging of tongue whose surface papilla change in diabetics is used to detect the disease. The required images have been provided by Parsian specialized clinic of Mashhad. In the sampling procedure, the diabetics, healthy individuals and those suspected of diabetes with both sexes and different age groups were considered. After imaging, tongue region was segmented based on two active contour models; then extended local binary patterns features, statistical features of the tongue texture, Color Moments in different color spaces were extracted from the segmented region. After feature extraction, diabetics, healthy and suspected of diabetes were detected using extreme learning machine classification. The proposed method obtained a precision of 97.7% for the current database. Experimental results show the efficiency and responding time of the proposed method compared to other noninvasive methods. R. A. McPherson and M. R. Pincus, Henry's "Clinical Diagnosis and Management by Laboratory Methods," Elsevier Health Sciences, 2016. B. Liu and T. Wang, "Inspection of Face and Body for Diagnosis of Diseases," Foreign Languages Press, 2006. 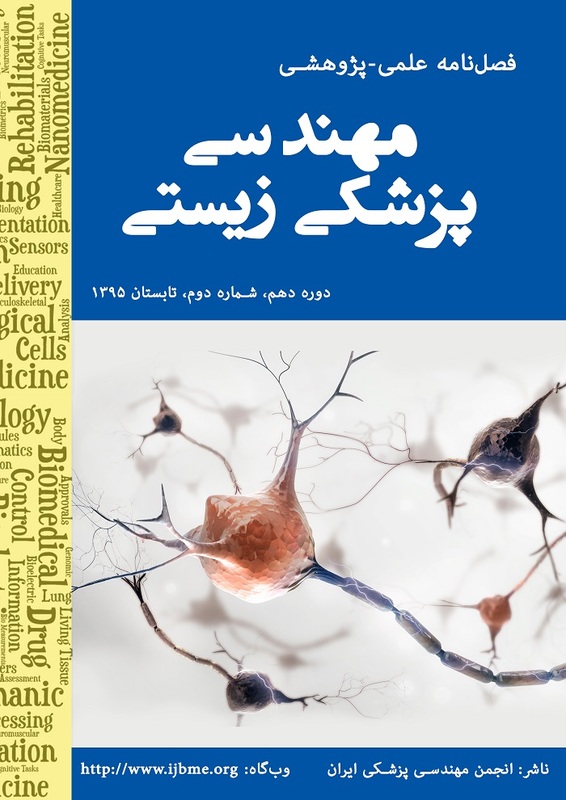 J. E. Hall, Guyton and Hall Textbook of Medical Physiology: Elsevier Health Sciences, 2015. L.-c. Lo, T.-L. Cheng, Y.-J. Chen, S. Natsagdorj, and J. Y. Chiang, "Traditional Chinese Medicine Tongue Diagnosis Index of Early-Stage Breast Cancer," International Conference on Medical Biometrics, pp. 7-14, 2014. T. Shu, B. Zhang, and Y. Y. Tang, "Simplified and Improved Patch Ordering for Diabetes Mellitus Detection," International Conference on Cybernetics, pp. 371.376, 2015. J. Zhang, J. Xu, X. Hu, Q. Chen, L. Tu, J. Huang, et al., "Diagnostic Method of Diabetes Based on Support Vector Machine and Tongue Images," BioMed Research International, vol. 20, 2017. B. Huang and N. Li, "Tongue Image Identification System on Congestion of Fungiform Papillae (CFP)," International Conference on Medical Biometrics, pp. 73-82, 2010. M. Shi, G. Li, and F. Li, "C2G2FSnake: Automatic Tongue Image SegmentationUtilizing Prior Knowledge," Science China Information Sciences, vol. 56, pp. 1-14, 2013. M. Brown, R. Szeliski, and S. Winder, "Multi-Image Matching using Multi-scale Oriented Patches," IEEE Computer Society Conference on Computer Vision andPattern Recognition , pp. 510-517, 2005. M. Kass, A. Witkin, and D. Terzopoulos, "Snakes: Active Contour Models," International journal of computer vision, vol. 1, pp. 321-331, 1988. J. L. Prince and C. Xu, "A new External Force Model for Snakes," in Proc. 1996 Image and Multidimensional Signal Processing Workshop, p. 1, 1996. H. Schaub and C. E. Smith, "Color Snakes for Dynamic Lighting Conditions on Mobile Manipulation Platforms," International Conference on Intelligent Robots and Systems, pp. 1272-1277, 2003. G. Hamarneh, A. Chodorowski, and T. Gustavsson, "Active Contour Models: Application to Oral Lesion Detection in Color Images," IEEEInternational Conference on Systems, Man, and Cybernetics, pp. 2458-2463, 2000. J. Ivins and J. Porrill, "Active region models for segmenting medical images," IEEE International Conference in Image Processing, pp. 227-231, 1994. T. Ojala, M. Pietikainen, and T. Maenpaa, "Multiresolution Gray-scale and Rotation Invariant Texture Classification with Local Binary Patterns," IEEE Transactions on pattern analysis and machine intelligence, vol. 24, pp. 971-987, 2002. L. Liu, L. Zhao, Y. Long, G. Kuang, and P. Fieguth, "Extended Llocal Binary Patterns for Texture Classification," Image and Vision Computing, vol. 30, pp. 86-99, 2012. M. Tuceryan and A. Jain, "Texture Analysis Handbook of Pattern Recognition and Computer Vision: 207-248," ed: World Scientific Publishing Co, 1998. G.-B. Huang, "An Insight into Extreme Learning Machines: Random Neurons, Random Features and Kernels," Cognitive Computation, pp. 1-15, 2014. B.Zhang, B.V.Kumar, D. Zhang, "Detecting Diabetes Mellitus and Nonproliferative Diabetic Retinopathy using Ttongue Color, Texture, and Geometry Features," IEEE Transactions on Biomedical Engineering, vol. 61, pp. 491-501, 2014.